With so many styles and material to choose from, you may be forgiven for believing that designing a beautiful fitted wardrobe is a complex process, let us assure you that it’s not – not at all! Yes, there is often a lot to consider and plan for, but our design team are here to help you, taking your ideas, your preferences and requirements to produce a bespoke design, making the whole process an enjoyable one. 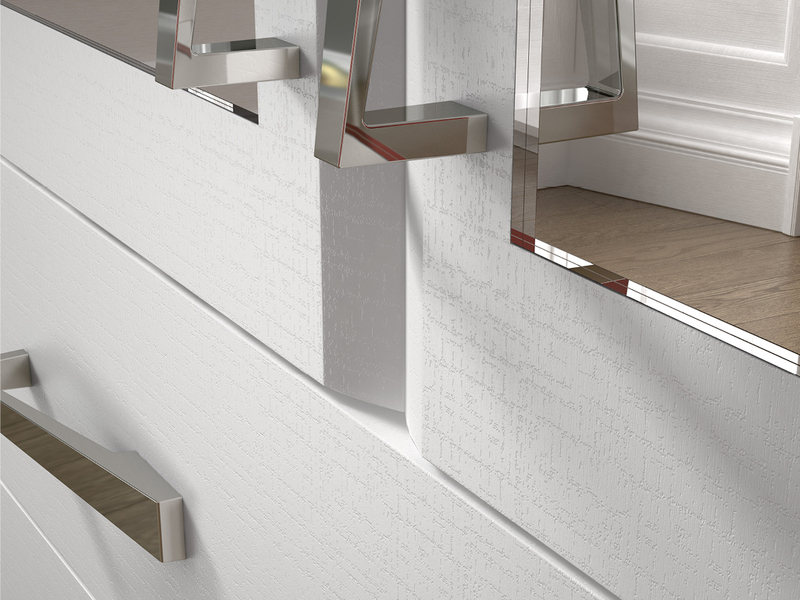 Harval Fitted Furniture is well known for designing, manufacturing and installing beautiful fitted bedroom furniture for customers across Leeds, Wakefield and Yorkshire. Whether you are planning to renovate the entire bedroom or simply upgrade the wardrobes, we’re here to help you. Let’s take a quick look at some of the most important considerations involved in designing the perfect fitted wardrobe. We offer a broad range of fitted wardrobe styles for you to select from, including curved, folding, hinged, inline and sliding, with some offering more internal storage space than others. However, there are other important considerations of note that require attention, including the opening style. The way a wardrobe opens is one of the most important design considerations as some styles, like hinged wardrobes, occupy more space than, for example, wardrobes with sliding doors. Our sophisticated curved wardrobe doors deliver an alluring flow to bedroom spaces, whereas our contemporary inline wardrobe doors provide a seamless design with an elegant finish. When we discuss your ideas, design preferences and storage needs with you, we evaluate the space and offer practical suggestions to help you make the right choice about the style you choose. With our fitted wardrobes, you also have many materials to select from, such as oak and a variety of woodgrain finishes like White Avola, a popular choice for both modern and contemporary style bedrooms. You can rest assured that we use only premium-quality materials sourced from leading suppliers to bring our beautiful fitted wardrobe designs to life and add real value to your home. Straight Wall. Usually installed in the centre of the wall space with shelving and/or panels on either side to enclose it. An option to consider if you are replacing a freestanding wardrobe. Standard Opening. Installed in an existing wardrobe space and will only require door panels, drawers, and shelving and hanging components. Corner Opening (Left and Right). An existing corner space to the left or right of the room that requires door panels and internal components. A broad variety of component layouts can be implemented, depending on the style selected and the available interior space. Our designers welcome the opportunity to meet with you to discuss your ideas at a time that’s convenient. Please contact us via our contact page or by visiting your nearest Harval Fitted Furniture showroom at Leeds or our factory showroom in Wakefield to learn more about our bespoke, fitted wardrobes. You can also contact us via Facebook, Twitter or Google+ page – and don’t forget to book your free home design visit.